A Wolverine Sequel Is in the Works A.k.a. They Weren’t Already Doing That? Actually, this isn’t really official. It’s an insider report with no corresponding confirmation from the studio. Also, this might be a little more surprising than I’m letting on. In 2011, when Hugh Jackman showed up in a cameo in X-Men: First Class audiences reacted with a mixture of groans and laughter. Unfortunately, there seemed to be far more of the former than the latter, such was the bad taste left behind by 2009′s X-Men Origins: Wolverine. The awesome loner mutant with a short temper and steel claws which he used when singe-handedly decimating a paramilitary unit in thrilling fashion in X2 was now reduced to being an unintentional laughable screen presence. As a result, 20th Century Fox went all out in making it very apparent to audiences that The Wolverine is the Wolverine movie they’ve been waiting for. Not many sequels are sold on marketing campaigns that basically apologize for the previous film in the franchise. That’s right….this never happened, people. You hear us..never happened!!! 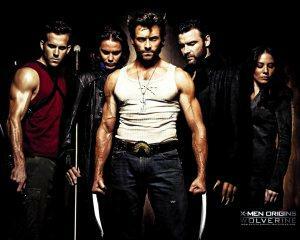 However, it appears as if some fans just lost their patience for the X-Men brand and/or the character of Wolverine. The Wolverine’s $53.1 million domestic opening was the lowest in franchise history (although just barely behind the opening for X-Men: First Class), and it was gone from the box office 10 after just four weeks. Its final total domestic gross of $132.3 million is the worst in X-Men film franchise history, well behind First Class’ $146 million. Beyond impatience with the character or brand, part of the issue for domestic audiences might have been superhero film fatigue (The Wolverine coming out after Iron Man 3 and Man of Steel). Plus, The Wolverine was the rare summer movie blockbuster that actually had a comparatively moderate budget ($120 million), was relatively light on action sequences, and did not at all cater to a domestic audience. Instead, it was tailor made for the Asian market since it’s set almost entirely in Japan and features nearly 1/3 of all dialog in Japanese delivered by Japanese actors. As a result, The Wolverine has the odd distinction of being the lowest domestic grossing X-Men film ever but the highest foreign grossing ($281.2 million), and by a pretty wide margin on that last part. It is now the second highest worldwide grossing film in franchise history ($413.5 million), trailing X-Men: The Last Stand‘s nearly $460 million total. This has been greatly helped by a strong showing in China where it opened recently and has grossed $37.5 million to date over there. It cannot be a coincidence that the news of a sequel breaks after the film opened so big in China. What’s not to relate to for domestic audiences there? We like to gamble too. So, like Pacific Rim before it The Wolverine was somewhat saved by the international market, particularly China, but The Wolverine‘s budget was much lower meaning it didn’t need saving nearly as much. However, after the film’s release there were multiple reports that Fox had locked star Hugh Jackman up in an incredibly lucrative deal to appear as Wolverine in multiple new films, be they sequels or further ensemble showings as in the forthcoming X-Men: Days of Futures Past. Such reports have been denied, but the result of the speculation was that it sure seemed like we could expect to see Jackman as Wolverine for several more films. In the form of X-Men: Days of Futures Past, he will be part of an ensemble which aims to combine the continuities of First Class with the original cast trilogy. The Wolverine, on the other hand, was more like a western/Samurai film that kept its focus on our delinquent hero with minimal action. This was the right approach to the character, even if they lost their nerve in the last act in running with more gonzo comic book movie action. 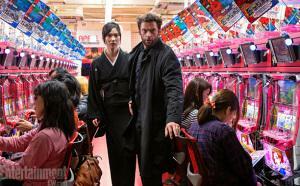 While Days of Futures Past looks amazing, a James Mangold-directed sequel to The Wolverine perhaps focusing on Wolverine’s new mentor-student partnership with Yukio has some real possibilities. Whatever they do, though, please … continue pretending like X-Men Origins: Wolverine didn’t happen and we’ll all be good.